In her presentation, "Psychology to Determine Whether Interventions Are Working", Amara Brook of Santa Clara College noted that the ecological footprint approach to motivating change to more sustainable behaviors doesn't necessarily work. She and cohorts conducted a study that found that after receiving bad ecological footprint results (that respondants have a undesirably large footprint), participants were often so demoralized that they were less likely to follow up with a pro-environment action. What are possible solutions to make the footprint method more effective? 1. Framing the feedback of a negative result as a "learning tool" rather than as a "personal failure". That users should take the result as just something to help them learn how to live more sustainably, not a personal failure. 2. Providing immediate tips for decreasing the footprint is a good way to quickly turn despair into inspiration and action. This morning's seminar on Conservation Tools and Tips from Psychology, organized by Carol Saunders (Chicago Zoological Society) and Gene Myers (Western Washington University), had some interesting implications for private land conservation, and conservation in general. First, Saunders presented some fascinating findings and guidelines from the emerging field of conservation psychology. Among other items, she repeated the results of a study that we reported in the "Editor's Picks" Section of the Conservation Value web site a couple of weeks ago: that behavior is very strongly affected by social norms - it is likely to mirror what other people are doing. People want to be a part of the group. Littering, she noted as an example, has been found by researchers such as Cialdini to be more likely when there is already litter on the ground. When there are people picking up litter, however, passersby are not very likely to litter. 1) It is important for managers and practitioners to highlight pro-environment social norms - instances where "everybody is doing it". 2) Highlight the positive and negative environmental impacts of decisions and choices. Provide information and prompts that help people understand the impacts of their choices and give them something to brag about when they do something good. Self fulfillment - the praise people receive for doing good - is a powerful psychological motive. 3) Break down identity conflicts, for example between "ranchers" and "environmentalists" by highlighting shared identity and concerns. This helps lower emotional barriers to solutions. 4) Create ways for pro-environment behaviors to make a positive statement about social values. For example, going solar, biodiesel, or buying a hybrid vehicle, and getting praised for being both patriotic and practical by helping make America more energy independent. Amara Brook of Santa Clara Collge presented a lecture titled "Psychology to Determine Whether (Conservation) Interventions are Working." She emphasized that it is important to understand and address why people are either against pro-environmental actions, or are literally carrying out environmentally-harmful actions. Brook and colleagues conducted a study to evaluate landowner attitudes toward Endangered Species Act protection of the Preble's Jumping Mouse. They found that that a key reason for landowners not taking conservation actions is that while landowners consider themselves to be conservationists and stewards of the land, they resent environmentalists who lobby for protection while not themselves sacrificing to make the protection happen. So it is not necessarily the idea of protecting the mouse, itself, that irks them. It is being asked to be the ones to pay, as well as a control issue--the feeling of being forced to take action against their will, rather than as an equal partner sharing in the glory of the solution. Brook's presentation showed why when it comes to private land conservation, collaboration and incentives/cost sharing are key--they address root causes of the mistrust and resentment that are often the motivating force behind anti-conservation behaviors. 5. Kids and Playing: kids play more creatively, and more in general in neighborhoods with more green space. But there is a problem here, with important implications for environmental justice. It seems that areas of cities with the most green space tend to be the most affluent and the most white. There are clear benefits to green space, but they are not equitably distributed throughout society. This leaves me wondering if given findings like this, it would be a good idea, from a crime-reduction perspective, to target urban poor neighborhoods for greening projects. The results of this talk suggest that not only would these projects green what are currently often the most dismal and violent neighborhoods in cities. But they would also reduce social discord and stress, and increase community cohesion. Could urban greening therefore help to reduce the economic and health costs of urban crime and policing? Anybody out there with more information on whether such projects are happening and what kind of results they are achieving? In her talk, "Research and Conservation on the Osa Peninsula after Corcovado National Park's Creation, 1975-1990", conservation biologist, Catherine Christen, noted that farmers to the east of the Costa Rican National Park say that its establishment has been a boon to their livelihoods. This is because maintaining the intact and breathtakingly diverse coastal tropical rainforest has helped generate and maintain the rainfall that they need to sustain their successful operations. This is a good reminder of the valuable ecosystem service of generating precipitation/maintaining the climate that is provided by healthy rainforests. Today and tomorrow, I'll be blogging on a diverse range of topics from the annual meeting of the Society for Conservation Biology in San Jose, CA. The meeting is particularly interesting this year (for me at least) because it includes a mixture of biological and social science, with intriguing symposium and workshop titles like "Conservation Psychology", "Environmental Sociology", "New Market-Based Strategies for Conservation", and "Conservation Tools and Tips from Psychology". Of course I'll also be attending the usual slew of conservation biology and management talks, especially those with practical implications, such as "Conservation of Private Land", and "Environmental Politics and Planning", and "Land Use Planning". As usual, I'll be seeking to learn of ways that scientists and management specialists are finding value in emerging conservation solutions. Please join Conservation Value this Saturday night, June 24, in support of sustainability by attending what promises to be a very special night of live music and fun (and likely funny) Alice in Wonderland themed costumery. A portion of proceeds will benefit Conservation Value. I am particularly excited about this event because Tea Leaf Green,with a songwriter (Trevor Garrod) who grew up on a farm and is actually a very good botanist, has a lot of nature in their lyrics. I enjoy their music in large part because the lyrics really talk to me about my life and passions. Featuring: Tea Leaf Green with guests sax legend, Martin Fierro, and Something Different. When: Saturday, June 24, 2006, Doors: 8pm Show: 9pm - ??? Edge of the World Productions cordially invites you to the Mad Hatter's Ball, an Alice in Wonderland-themed "Mad Tea Party" featuring San Francisco's rising stars, Tea Leaf Green, with special guests including Martin Fierro on Sax and Something Different. The Ball will take place on Saturday night, June 24 at a posh new nightclub in San Francisco called Boondock Bay, located just 5 minutes from the Mission district. With a mesmerizing lighting system and a balcony surrounding the dance floor ala New Orleans' legendary Tipitinas or the DNA Lounge, it is a perfect place for an all-night Mad Tea Party. The Mad Hatter's Ball will be an epic experience to be recorded in the books. Not only will we be providing a top notch atmosphere and entertainment, including comfortable chill spaces, but we will provide hand screen printed poster art, and gift bags for all. In her May, 2006 column in Frontiers in Ecology and the Environment, CV advisory board member, Katherine Ellison, reports on a new technology in the emerging industry of large-scale energy recycling and cogeneration--a technique in which industrial facilities use waste energy to produce heat or electricity. Why is making better use of waste energy so important to our environment, economy and public health alike? "Consider," says Ellison, "the US power industry's rate of efficiency has been frozen at 33% for the last 45 years, meaning that for every three lumps of coal we burn, just one lump's worth of energy actually makes it to the consumer. In fact, according to federal government estimates, power plants and industry together waste so much energy that nearly 20% of all US electricity would be saved by recycling the energy now squandered by 18 different industries." Energy recycling technologies developed by Tom Casten of Primary Energy Ventures simply capture the heat that would otherwise be emitted as a byproduct. "At a steel mill, for instance," reports Ellison, "Casten collects blast-furnace gas to produce electricity and steam that would otherwise have to be purchased. (This smokestack exhaust is rerouted through a boiler that makes high-pressure steam, which in turn is converted to electricity by means of a steam turbine. It also supplies low-pressure steam, which can be used in the industrial process.) "
Casten is the author of a 1998 book titled "Turning off the heat: why America must double energy efficiency to save mnoney and reduce global warming". Says Ellison, "he calculates that his for-profit company is saving two million tons of CO2 a year in the US alone - equal to planting 1.5 million trees or taking 400,000 cars off the road, while generating a cash flow of more than $80 million." One of the key things that I aim to accomplish with this blog is to serve as a bridge between the best knowledge of the ecological and conservation sciences, and our non-scientific readers. "in many cases, the dynamics which threaten species are also those which contribute to poverty, such as habitat loss and the lack of appropriate governance and resource management mechanisms. 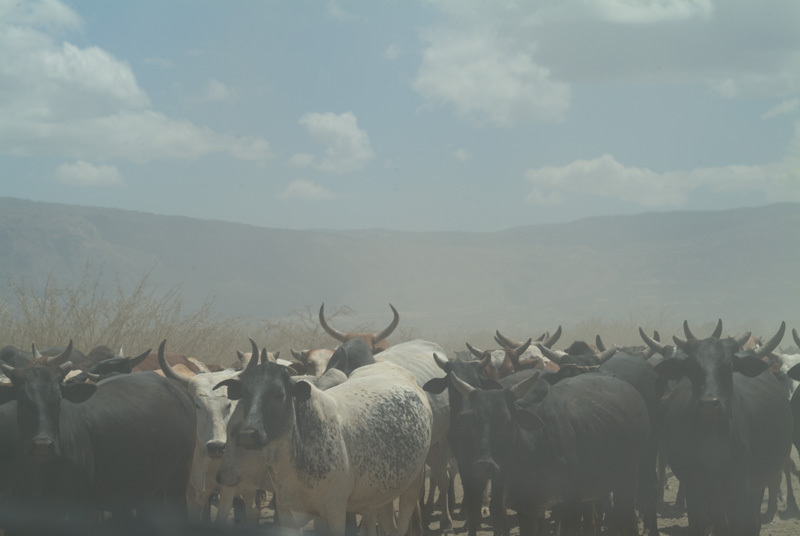 This report shows how imodern species conservation programs can and do reduce poverty, increase food security, improve governance structures, and increase women's participation in society." One example is the benefits that the townpeople of Tortuguero, Costa Rica, have realized from switching from hunting sea turtles and taking their eggs, to turtle tourism. "In 2005, over 36,000 tourists came to watch the turtles nest", says Sebastian Troeng, of the Caribbean Conservation Corporation. "Over 35 years, we've seen a 400% increase in green turtle nesting". Tortugero's human development indicators, the article notes, "outshine those of similar towns where turtle eggs are still harvested or simply ignored." 2. Billion Dollar Bugs reports on the findings of researchers that insects provide ecosystem services worth more than $57 billion in the U.S. each year. "The study, published in BioScience (2006; 56:311-323) found that native insects are the food for wildlife that support a $50 billion recreation industry, provide more than $4.5 billion in pest control, pollinate $3 billion in crops, clean up grazing lands, and carry out $380 million worth of dung burial for the cattle industry." Co-author, Mace Vaughan, of the Xerces Society for Invertebrate Conservation, says that their results are "conservative estimates" of only a few services. "Services not normally part of a conservation discussion get put on the table once a dollar value is attached. Conservation will fail unless it better connects to people, and ecosystem services is the best way to do that." Is Dust From Cows, ORVs and Development Causing the Rocky Mountain Snowpack to Melt Earlier? In yet another fascinating article illustrating the pervasiveness of human impacts on the environment (and in the case of water supplies, on human livelihoods), High Country News is reporting that high levels of dust settling in the Rocky Mountains are resulting in earlier snow melt. White snow reflects a lot of light, so it absorbs less energy and melts relatively slowly. Dirty snow reflects less light and melts more quickly. The faster snow melts, the sooner it exposes deeper dust layers, creating a feedback loop that further accelerates the melt. found that a single dust event could cause snow to melt away 18 days earlier than it would if there were no dust at all. In the Western mountains, which act as the region’s water towers, the implications of these rough estimates are stark. If dust deposits in the mountains increase for any reason, the researchers surmise that snowmelt will both happen faster and finish sooner, leading to bigger and earlier peak flows in streams and rivers. That would cause headaches for water managers, who would need to store the rush of water, and it would perhaps result in more frequent or serious summer water shortages. So what are the causes of this dust? On desert grasslands that have never seen grazing, "there’s barely any dust production, no matter what"; the dust traps she posts in those areas collect perhaps a tablespoon every six months. Most years, traps in formerly grazed grasslands collect about twice as much, and currently grazed lands collect even more, about nine times as much. But the most dramatic differences, says Belnap, emerge during severe drought years. While the ungrazed grasslands stay more or less the same, formerly grazed ground produces as much as 20 times the amount of dust as in wetter years. Currently grazed lands "just go bonkers," with the dust traps sometimes filling faster than Belnap and her coworkers can empty them. Grazing, development, off-road vehicle use, and military training activity form what Belnap calls a "background signal" of dust in the Southwestern deserts. That signal seems to be strengthening. What might the ultimate result be? The researchers hypothesize that if dust events do continue to increase, mountain snow will melt earlier in the spring, and the summer droughts that may ensue could lead to — you guessed it — more dust, further eroding the mountains’ ability to store water. "I hate to use the word catastrophe, but that’s probably the right word," says Belnap. "Throw climate change into the mix, and the forecast gets even more grimly interesting. So far, the effects of global warming on the higher, colder Rockies are not as marked as those in lower coastal ranges, where even a small rise in winter temperatures can turn snow into rain. But if dust keeps crowding into the mountains, says Painter, it could amplify the effects of warmer temperatures, boding ill for high-elevation snow in the Rockies and elsewhere. "If you put dust and warming together — watch out," says Painter. This is yet another striking example of how human land uses may be combining with climate change to cause potentially catastrophic impacts to people and ecosystems alike. And when it involves threats to water supplies in the American West, we have another important practical reason to stop not just global warming, but also destructive land management practices that leave us more vulnerable to its effects. The Wall St. Journal is reporting that global warming is likely to spur seismic activity - the occurrence of earthquakes and volcanoes! This is something that I've never heard mentioned among predictions of the consequences of global warming, and yet it makes sense. We seem to have another powerful example of the safety, security, economic, health and overall quality of life risks posed by global warming. I'll be on the lookout for more information on this mind-boggling subject. Hopefully all of you in earthquake country have your earthquake kits ready. Five years ago, who would have thought that the nation's premier music festivals, including the upcoming Bonnaroo megafest in Tennessee and Wakarusa in Kansas (yes--the same Kansas that has attracted attention for teaching Creation as a viable alternative to evolution for explaining the earth's diversity of life) would be going green. I mean, High Sierra Music Festival in northern California--sure. They just continue to get greener, including by converting used vegetable oil from their food vendors to biodiesel and using it to power their stages. And the new Green Apple Music Festival? Well of course--it's in their name! But festivals in the middle of red states like Kansas and Tennessee? They have also invited the World Resources Institute, Rock the Earth, and Natural Resources Defense Council to raise awareness among fans about simple steps they can take to help stop global warming. Given that the festival organizers, Superfly Presents, hail from New Orleans, it is fair to say that they now take global warming very seriously and want to make sure their fans do as well. Wakarusa, occurring this weekend just outside of Lawrence, Kansas, has announced more modest initiatives, focused on the purchase of enough Green Tags, or renewable energy credits, from the Bonneville Environmental Foundation (BEF) to offset the environmental impact of powering the four-day festival. The festival organizers state that by purchasing Green Tags, which represent the real savings in carbon dioxide and other pollutants that occur when green, renewable energy replaces electricity produced by burning fossil fuel, they will offset more than 63,000 lbs. of greenhouse gasses (primarily measured as carbon dioxide). For individual concertgoers, the festvial offers the option of "greening" their travel to and from Lawrence. Attendees can purchase Green Tags to offset the energy used to travel to the show. BEF established three levels at which people may green their travel to the event, those traveling from "near" (310 miles or less), those traveling "far" (between 310 and 960- miles), and a third option for those traveling by air. Each purchase will offset the corresponding amount of carbon dioxide that is put into the atmosphere per person during a vehicle or plane trip. While society's current rise toward sustainability still has a long long way to go, the growing influence of the music industry as a supporter, promoter and enabler of sustainable living and business holds tremendous potential for affecting massive positive change. To realize this potential, festival organizers should make certain to incorporate an empowering and effective educational component into their greening initiatives. One that presents fresh and positive perspectives of sustainability's benefits that really hit home for a wide range of people, well beyond "The Choir". That is, help the masses of music fans understand how each green practice benefits not just the environment, but also the economy, public health and safety, national security, and quality of life. So I passed my previous post, in which I bemoaned the lack of action being taken to prevent and control the spread of Sudden Oak Death (SOD) (especially the lack of public education that I have observed), on to eminent UC Davis expert, Dave Rizzo. Since I am an expert in the spread of invasive (rapidly spreading) non-native weeds, but SOD is an invasive pathogen (as was the infamous Chestnut blight, which decimated the magnificent American Chestnut, the Redwoods of the east), I was curious to hear his thoughts about how my concerns as an expert in invasive plants translated to this rapidly spreading pathogen. My comments were inspired by a rather dire article that I had read on the subject, combined with my observations that little is being done to prevent hikers and vehicles from spreading SOD (something that they've been shown to do - particularly in the spring rainy months), even in highly visited areas that are highly infested with the disease, like Muir Woods National Monument. This has frustrated me since I first learned that symptom levels are greater with increasing human activity, such as hiking, in an area. Dr. Rizzo has been both a pioneer and a leader of efforts to solve the mystery of not just how the disease spreads and what to do about it, but also exactly what it is (the pathogen wasn't even identified until around 2000!). Here are his comments on the current status of efforts to control the disease and educate the public about how we can all help avoid spreading it (special thanks to Dr. Rizzo for granting permission to share them with you). Thanks for the message and pointing toward your blog. Management of this disease occurs at three non-exclusive levels - individual trees, the landscape and regional to international. For the individual tree, there is now a preventative fungicide (phosphates) that has extremely low toxicity. This is considered a green product, but I'm not sure if it is "officially" certified organic. The landscape, I think, is the most difficult scale for management. While cleaning shoes, etc. is important, it is still a very low probability pathway for pathogen movement (although certainly not zero). Unfortunately, this pathogen spreads quite nicely on its own. The other way the pathogen is probably most often spread is through ornamental plants planted in the urban-wildland interface (see above). It would have been great to stop this pathogen at an early stage. Unfortunately by the time we figured out the cause, the pathogen already covered large areas of California. Based on our work, Oregon was able to detect the pathogen. But they are finding it very difficult to eradicate. There are several reasons for the relative lack of landscape management. First, we had (and still have) very little information on the pathogen. What approaches could be taken? Obviously, chemical controls at very large scales are impractical at best, dangerous at worst. This leaves tree removals and fire as the remaining major management tools. How do you use these tools with little or no information and avoid making the problem worse? We now have more information and are moving in these landscape directions in Humboldt, Sonoma, Santa Cruz and Monterey counties (Big Sur). We have developed grass roots management efforts by working with local landowners (public, NGO, individual landowners). But SOD cannot be taken out of context. The first thing I ask landowners is what would be their management goals in the absence of SOD. This is not an easy question - it is very surprising how little ecological information (fire history, successional patterns, etc.) is available for many of the these forest types. In particular, the mixed-evergreen forest has been very little studied (we have a number of collaborative projects trying to get this information). Developing large scale land management plans is not easy. For example, in Humboldt county we are attempting an early intervention to slow the spread of the pathogen. But to implement that, the farm advisor needed to work with many different groups and in context of regulations designed to protect other species; i.e. spotted owl and marbled murrelet. In Big Sur, much of the impacted area is designated Wilderness, which requires lots of paperwork to be able to do treatments. By the time the exceptions could be granted often it will be too late for some canyons. While I believe that it will be impossible to eradicate P. ramorum and probably to prevent its spread, I do think we can slow its spread and develop management tools to lower its impact on our forests. We are making substantial efforts to coordinate landscape management with other management needs (e.g., fire issues, other invasive plant and animal species). These projects involve many dedicated people who are working very hard to make them a success. But unfortunately these things don't happen over night. The best website for info on SOD is www.suddenoakdeath.org. The website is run by the California Oak Mortality Task Force (COMTF). The site includes lots of current info on outreach and research. We will be running another training session on SOD for the public in Sonoma County on July 20. There should be info and an agenda posted on the website soon. In case you are not aware, the COMTF is a consensus group that has tried to bring together many different agencies to help recommended research, policy and outreach directions to various state and federal agencies. Most of its efforts have been toward public education. At various times, I believe something like 65 government agencies and NGOs have been involved. We have an executive board that meets a few times of year to discuss issues surrounding SOD. We also have several subcommittees (management, regulations, monitoring, etc.). On the board, currently we have representatives from the US Forest Service, CDF, CDFA, APHIS, UC, and the nursery industry. I serve as the science advisor for the group. Sounds to me like it is a complicated issue, the kind that a "consensus group" that represents many different interests (though no conservation organization taking a lead role...) might have a difficult time agreeing on strong, decisive measures to implement (just as the diverse interests who hammered out the Kyoto Protocol ended up producing a watered down treaty that will hardly approach solving the problem of global warming). If implementing larger-scale measures poses complex challenges and happens much slower than the disease is spreading, perhaps getting some smaller-scale measures in place, such as better public education at parks designed to minimize the risk that hikers and vehicles spread the disease, are all the more important. In the end, a lot of little steps can add up to good things. These should, ideally, be accompanied by monitoring (excellent graduate project) to determine how to maximize their effectiveness in stimulating action (perhaps the type of environmental communication research that has generated reports like this). There really is no gratifying excuse for all that can be done to not be getting done. As scientists and economists have shown, early preventative steps may be more expensive to start, but they tend to make dealing with a destructive invasive species like SOD both more effective and much cheaper in the long run.